We are proud to say that we carry USDA Choice Beef, lamb and Harris Ranch Beef, and we strive source our meat from California farms. You’ll find a large selection of organic and grass feed beef as well as a wider variety of chicken and poultry products including Smart Organic Chicken. Need rabbit or duck? We carry hard to find specialty meats and if we don’t carry it, we can order it. Need a special cut or want us to trim the fat? No problem, our butchers will custom cut your choice of meat while you shop. Our butchers can also give you the right cooking times and temperatures for your selection. As always, if you’re planning a party or work in the culinary industry we can special order meat or poultry for your event. 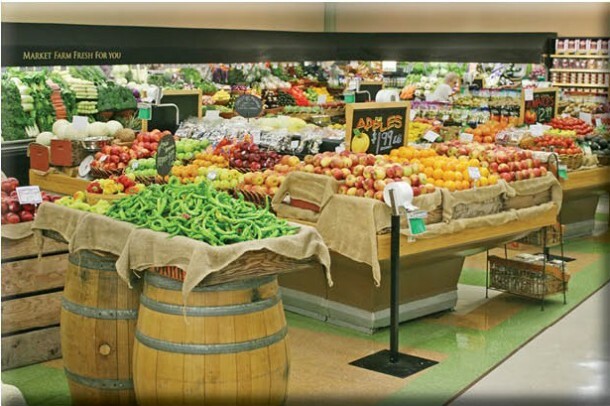 Located in Central California, Harris Farms has been under continuous family operation since the 1930’s. Since its founding in Fresno County, Harris Farms has grown into one of the largest family owned and functionally integrated agribusinesses in the nation. Today, under the leadership of John Harris, the Harris name has probably become best known for producing the finest quality beef available. Together, Harris Feeding Company and Harris Ranch Beef Company have established a reputation as two of the most innovative firms in the industry, pioneering the development of a unique branded beef program as early as 1982. 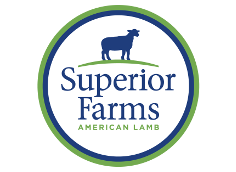 Superior Farms has a long-standing commitment to the well-being and care of the flock. Lambs are set to pasture across vast grasslands, sustaining on the natural vegetation as they have for centuries. They believe good things come from putting the flock first. Sustainability starts in the pasture and extends to every facet of what they do. Their facilities are equipped with the best technology, including a wind turbine at their California facility that offsets about 50% of the plant’s total energy use. Their ranchers show the same commitment, regularly updating equipment and protecting the land from pesticides and waste. Organic Smart Chickens are certified organic in accordance with the standards of the National Organic Program. As part of that certification, their certified organic chickens are fed a certified organic, certified non-GMO diet. The inability to source sufficient certified organic, certified non-GMO grains limits the number of certified organic chickens that Smart Chicken growers can raise. Smart Chicken is committed to sustainable, humane practices that reduce stress on animals and provide better working conditions for employees. All of our chickens are cage-free, with plenty of space to roam, perch, dust bathe, and participate in other natural social behaviors. Their certified organic chickens are also free-range, which means they have access to outdoor pastures. In addition to contributing to a higher-quality product for consumers and their families, humane handling practices are simply the right thing to do.